Things have been really busy here. My grandmother passed and so we had to make a couple of trips to see her. The boys are full on into their spring fever mode. I have noticed that every spring the kids go into big time sensory seeking behavior. Last year, I had the flu (I had never been so sick in my life) and Tremendo flooded the kitchen and dining area with the sink spray while Kamikaze and Sweet Coco played in the water. I call that The Flood of 2008. 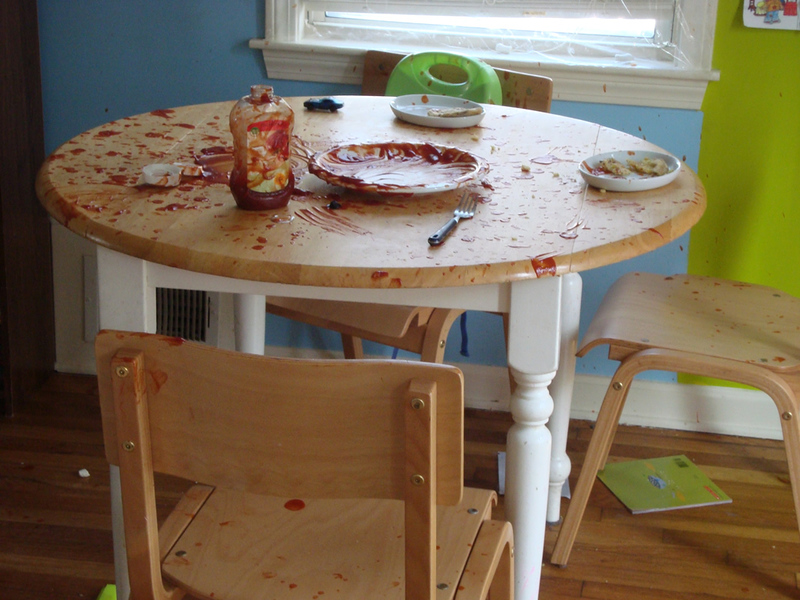 This year it was The Ketchup Bloodbath. 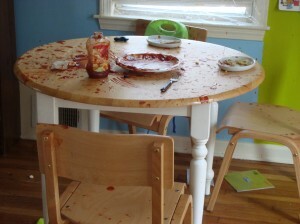 The Ketchup Bloodbath- it was much worse than it looks. Everyone on the block heard my shock upon THAT discovery! I must plan for this next year. I need to get out the The Out-of-Sync Child Has Fun and make a list of some stuff we can do. I also signed up for the Floortime Basic Training Course. I just finished the first lecture and am remembering what I’ve read in The Child With Special Needs. It was a good refresher and I’m excited to get down to the nitty gritty of creating a program based on the kids’ individual differences. One Response to "The Ketchup Bloodbath"